Keywords: Google Analytics can tell you what keywords your site visitors searched to find your site. It can also let you know the most common keywords that have brought you visitors. 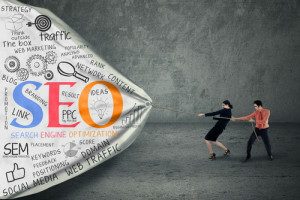 You can determine how keywords and visitor behavior are connected on your site, showing you which pages visitors who used a particular keyword looked at, how long they stayed, and when they left. This data can help you determine what people are looking for when they come to your site. When you know this, you’ll be able to create targeted content that better addresses the needs and interests of visitors. Short- and long-term site trends: Use Google Analytics to identify trends on your website, such as which pages on your site are getting the most views, how many views are occurring, and how many visits are occurring per day. You can view trend data for the last 30 days by default, but the tool also allows you to extend the data return to a year or more at a time. When you know which pages are drawing the most interest from visitors, you can concentrate on making those pages more informative or capable of converting. Visitor demographics: The analytics tool returns potentially useful data about site visitors, such as geographic location, the browser they used, patterns of page views and navigation, number of unique visitors, page referrals from social media sites, and visitor frequency. This data can all be used to see who’s coming to your site and what they’re looking at. How can you use these Google Analytics tips to assess your website visitor data for areas to improve?